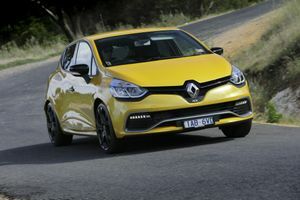 RENAULT'S latest Clio RS, the 200 EDC, with its nimble performance and sporty good looks is definitely one hot proposition. 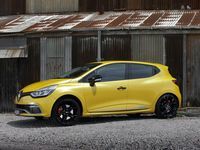 The hatch, available now only as a four-door automatic, is bursting with top-notch inclusions and clearly benefits from the technology which has seen the French manufacturer become a powerhouse in Formula 1 racing. Of course, taking the scenic route to the supermarket is a far cry from the gruelling street track of Monaco or the tight corners of the Hockenheimring. 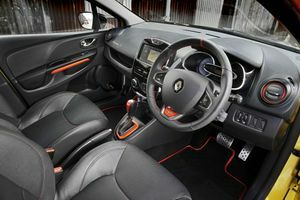 But in the new Renault Clio RS, even with two child booster seats in the back, it is easy to imagine yourself amongst the excitement, even if it is for the briefest moments. A funky fresh-looking interior offers a warm welcome with its quality-feel materials, splashes of colour and textured trims. 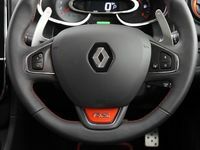 Inside the Renault Clio RS Cup. It is a feeling further enhanced by a sporty driving position, race-like instruments and switches and dials that are practically within reach. The seats are supportive and well bolstered, perhaps a bit firm, and hold pretty snug even at the back of the neck when needed. Four doors make access to the rear quite easy but that flattish pew is best used for children. Of course you can fit two adults in the back but their comfort is somewhat dependent on the generosity of the front-seat occupants. Storage options are slightly sparse - not helped by two shallow and oddly-sized cup holders - but by and large you would do okay with the essentials. Boot space is surprising at 300 litres, which increases to 1146 litres with the rear seats folded. A powerful new 1.6-litre turbo petrol engine sits at the heart of this RS 200 EDC paired with a six-speed dual clutch transmission and steering wheel mounted paddle shifters. It makes for a thrilling combination especially as it is teamed with a two-dampener front suspension system and a wide torque band that is controlled by a forward-thinking electronic diff. In practical terms it translates into a car that sits flat, powers through corners, shows an innate flexible ability and overall balance that is hard to find fault. It truly loves the twisty bits and is good at it. The RS Drive system allows you to select from three modes: Normal, Sport and Race, which varies performance by adjusting electric power assistance, stability control and acceleration. Normal mode, while useful for small everyday runabouts, feels a bit lacklustre with rather light steering - especially after you try the other two. One of the neatest adventures of the RS is launch control, which fires you off the line with maximum traction, and raucous Race mode. Despite the excitement it can generate, or perhaps because of it, the function is best suited for a day on the track. Standard fare in the base-model Sport includes 17-inch alloys, cloth seats, air conditioning, Bluetooth audio with audio and phone streaming, automatic wipers and touch-screen with sat nav. The Trophy model adds 18-inch alloys, leather seats, rear camera, automatic climate control and Renault's R-Sound Effect system which allows you to hear seven synthesised exhaust sounds through the audio system. Safety has a five ANCAP rating with the usual suspects like anti-lock brakes with EBD and brake assist, stability control, anti-slip regulation and hill-start assist. Emergency warning lights are activated under heavy braking. Competition is stiff with offerings like the Peugeot 208 GTi (from $29,990), Citroen DS3 (from $29,740), Mini Cooper S (soon to be from $36,950), Ford Fiesta ST (from $25,990) and the Volkswagen Polo GTi (from $29,540). Making the RS better suited to everyday driving was one of Renault's aims this time round and they have managed it somewhat by changing the drive choices and going for four doors rather than the previous standard-issue two. It would be good to have reverse cameras or even sensors as standard (optional in the entry models) across the range. 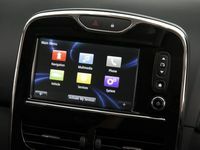 Renault has used tricks learnt at the Formula 1 coalface for fuel consumption and official figures stand at 6.3 litres/100km. We used almost two litres more but that's probably because we were quite heavy on the pedal. Renault offers a three-year, unlimited kilometre warranty on the RS with services capped at $299 per year for the first three years. 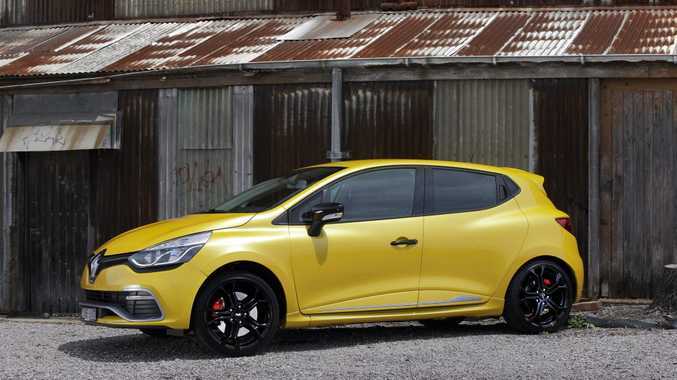 There is no missing the Clio RS's hot-hatch looks with sharper lines and gloss black body hardware. It is lower and flatter than a regular Clio with a front aero blade, rear diffuser, dual chrome exhaust finishers, F1 style front bumper blade and stylish alloys. It looks good especially in the RS yellow and red. What we'd like to see: Reverse camera as standard. Warranty and servicing: Three-year, unlimited kilometre warranty with roadside assist. Capped price servicing is $299 for the first three years, with servicing intervals every 10,000km or annually. Model: Renault Clio RS 200 EDC. Details: Five-door front-wheel drive small hot hatch. Engine: 1.6-litre four-cylinder turbo-petrol generating maximum power of 147kW @ 6000rpm and peak torque of 240Nm @ 1750rpm. Bottom line plus on-roads: Sport $28,790, Cup $31,290, Sport Trophy $34,290, Cup Trophy $36,790 (as tested).